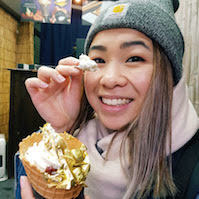 One of the best things about traveling overseas is being able to eat your way through a country’s unique foods, and Japan definitely does not skimp out on delicacies to offer. As one of the world’s most popular cuisines, with a condensed nation of Michelin-starred restaurants, it’s an absolute jungle out there (in the best way possible) with a wide range of options from the healthy Japanese food to not-so-healthy ones. Foods that have been long associated with a trip to the land of the rising sun include piping hot bowls of flavour-laden ramen, insanely fresh sashimi made from fish caught just hours before, next-level crunchy tempura and katsu fried on the spot, perfectly grilled wagyu beef dripping in butter and fried garlic, and freshly cooked, perfectly round takoyaki balls filled with chunky octopus, fried tempura bits, pickled ginger, and green onion. Of course, when you’re traveling, the likely impending muffin top and round cheeks when you head home is definitely not a priority or even given much thought. However, making the gains is so much fun and just so easy and easily forgettable (speaking from experience), but in that moment that you wake up from a food coma nap after slurping through three bowls of ramen before dinner, there’s going to be a realisation that there’s got to be more out there than waking up to ten plates of sushi, followed by fried chicken at every convenient store you pass, finished off with cheese tarts and strawberry sponge slices and crepe cakes before you go to sleep and do it over again. Don’t worry, we’ve all been there. Luckily for you, we’ve managed to live through all of the above post-holiday weight gain trauma and can now assist you with making better, if not the best, choices when you’re traveling to Japan and want to eat Michelin-level foods (by my standards, don’t quote me) without heading home looking like the Michelin tyre. Tofu, one of the superfoods of the world, has a massive presence in Japan. Long used in a wide variety of their dishes, tofu has not ceased in popularity in recent times. 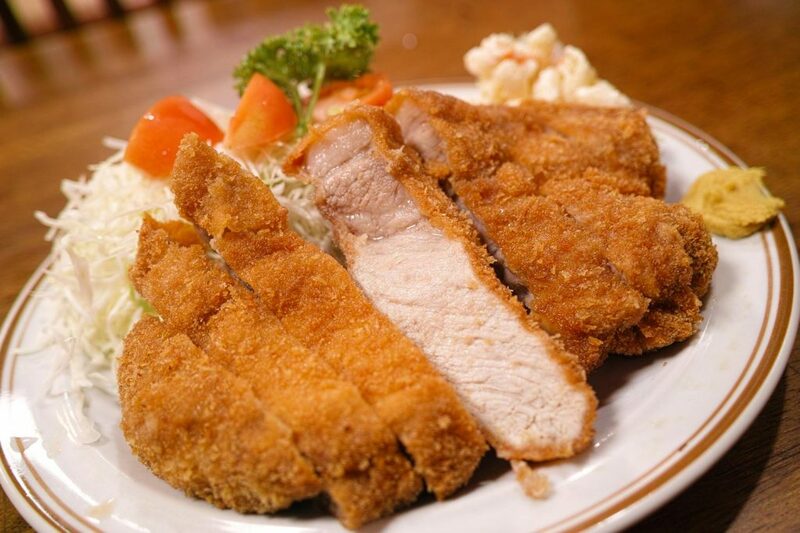 In fact, due to the increasing awareness of tofu’s packed long-term benefits, foreigners traveling to Japan have began to actively seek out tofu items on menus far and wide. Tofu can be served in a variety of ways, so there is an option out there for everyone. Whether it’s soft and fresh on a bed of salad, fried in a rice dish, or even in soup, tofu is as versatile as they get. Packed with protein to keep you full and low in calories, it’s the perfect substitute for beef, pork, or chicken, which may be on the fattier side. You can also order a tofu side dish to supplement your main meal so that you don’t end up going for a second dinner afterward. You may not have heard of natto, Japan’s famous version of Hong Kong’s stinky tofu, or you may have heard of the slimy, smelly, sticky fermented soybean dish that is traditionally eaten as part of breakfast. Either way, it’s now something that should be on your radar if you’re looking for healthy Japanese food options. 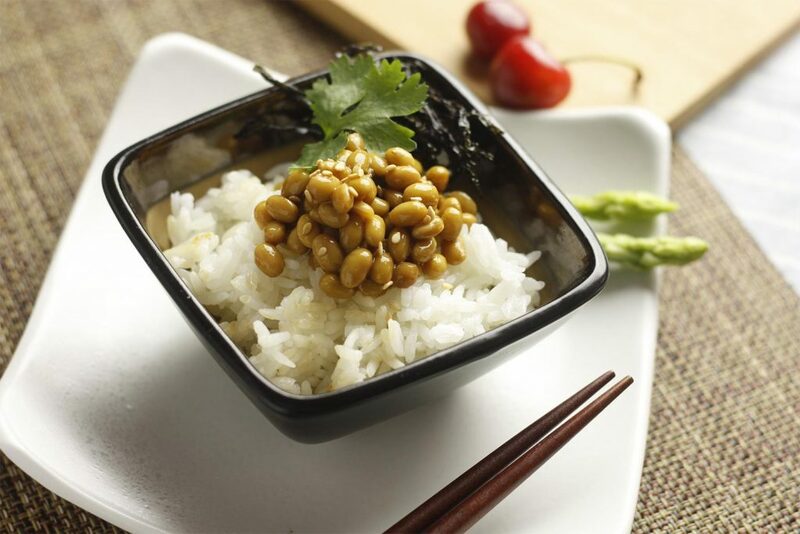 Natto is protein, vitamin, and nutrition-packed, and contains explosive amounts of vitamin K2, which basically assists in such areas as preventing osteoporosis, and aiding with blood clotting and heart health. All this packed into a serving of fermented soybeans. Natto can be eaten mixed with green onions and soy sauce with rice. Nowadays, natto is also a popular item at sushi train restaurants: you can order it gunkan-style, or as mini sushi rolls. 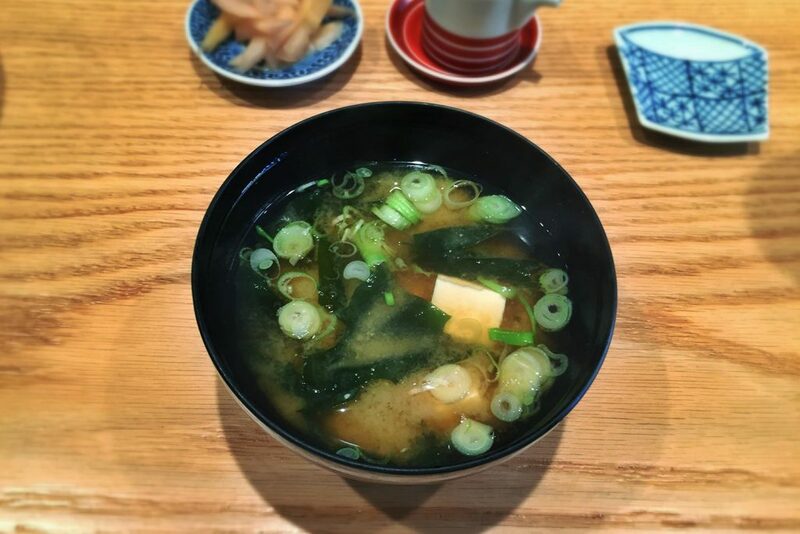 This may not come as a surprise to many of you, as miso has long been a favorite healthy Japanese food option at Japanese restaurants around the world, but what you may not know is just how nutrient-packed a bowl of miso soup is. Made from fermented soybeans, miso soup is full of beneficial bacteria, enzymes, antioxidants, amino acids, and vitamins. Benefits of drinking miso regularly include boosts in immunity, aid in memory, improved digestion, lowered cholesterol, and even brighter skin. I highly recommend you order a small bowl of miso as a starter to fill up your stomach a little so that you don’t overeat during the main course. It’s a great way to control your eating without overindulging. This concept is probably unheard of to many people, but there are definitely options of ramen out there that aren’t your typical heavy, oily, tonkotsu-based bowls of delectableness (disclaimer: tonkotsu is one of my favorite bases. My winter days in Japan are filled with memories of bowls upon bowls of tasty tonkotsu ramen, but I just can’t churn through multiple servings every day of the week anymore). 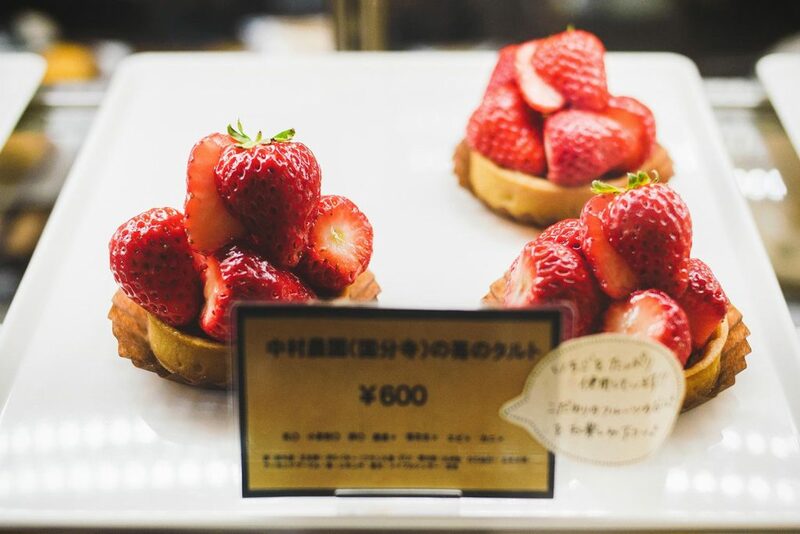 This store has multiple locations around Tokyo, with as many varieties on their menu to choose from. However, their most famous dish would be their vegan ramen. The soup stock is made with carrots, onion, and cabbage, and is topped with seasonable vegetables. The noodles are made with a splash of paprika for added flavor, and you can also opt to replace your regular noodles with brown rice noodles. Of course, their vegan ramen is just one option. Pop into one of their many stores and check their healthy menu out. This ramen store personal favorite of mine. The quality of this ramen bowl is outstanding. 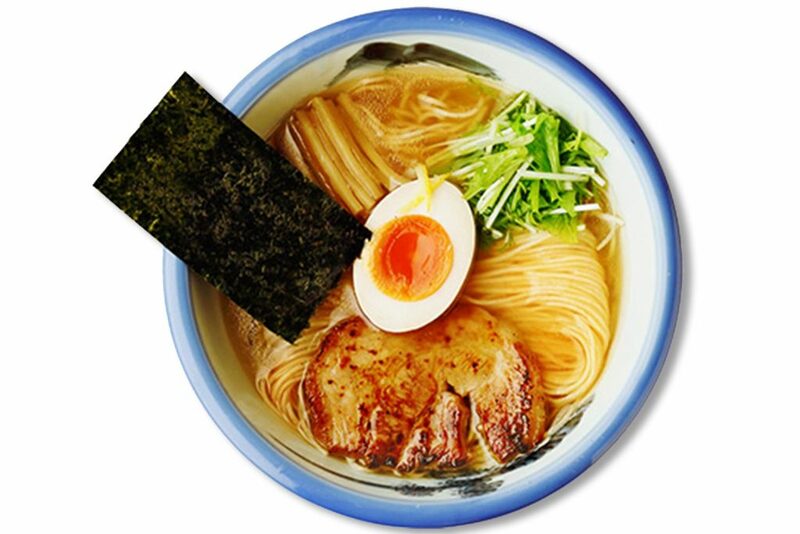 Their bestseller is the yuzu shio ramen: a chicken-based yuzu flavored ramen that comes out piping hot tastes very light and refreshing, and is topped with freshly grilled chashu, soft boiled eggs, crunchy bamboo shoots, and roasted nori. 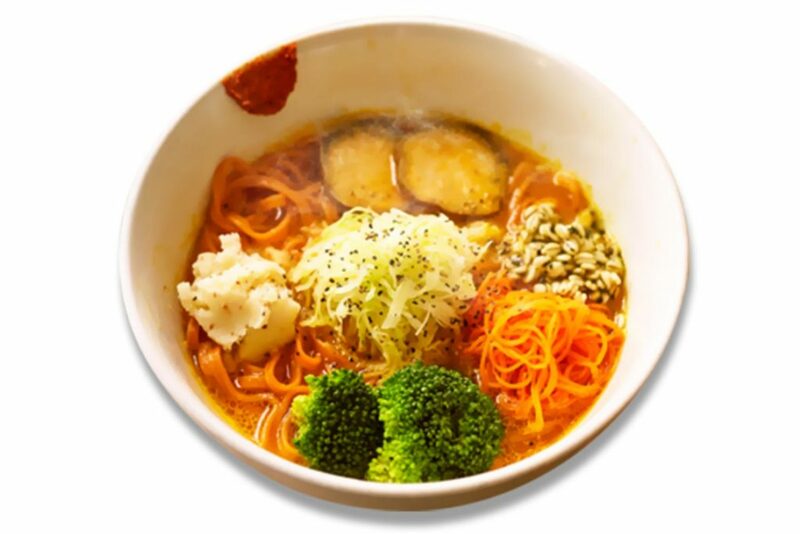 The thin ramen noodles are made using a blend of rye and whole wheat flour from Hokkaido. They also have a vegan ramen option, where the noodles are made from powdered lotus root and flour, and the soup is a tasty concoction of vegetables and salt. Sashimi is the art of consuming thinly sliced, raw foods in all its glory. Seafood is the most common type of sashimi, however, you can certainly have other types of meats (e.g. beef, horse, and more recently, chicken). Most sashimi slices are eaten dipped in soy sauce (with the option of adding wasabi or ground ginger to the dip). Sashimi made from fish is rich in omega 3, which is often linked to lowering blood pressure, assisting with improving memory, and aiding heart health. 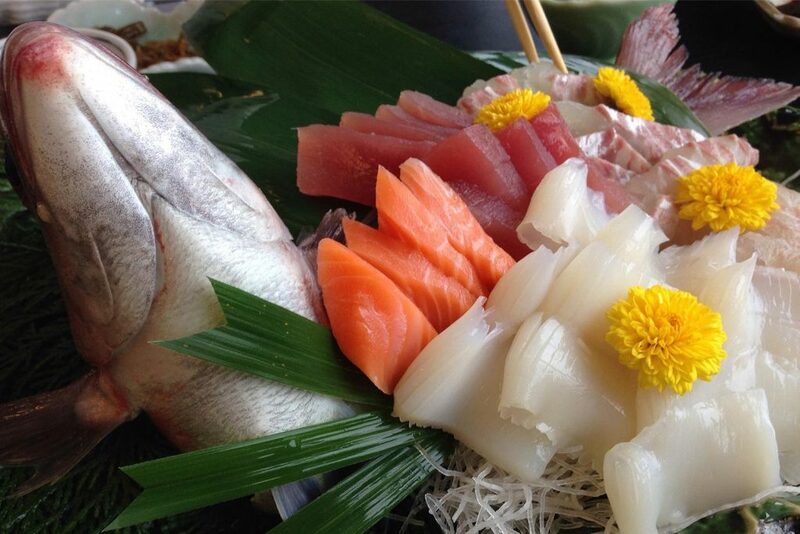 Fish sashimi is also a great source of protein for the body, without the added calories of frying or grilling it. Sashimi is served at many sushi restaurants and also at some izakayas. At the fish markets, you can also opt to have kaisendons, which are bowls with various sashimi placed on top of sushi rice for something more filling. Next time you’re at a sushi joint, instead of opting for the typical deep-fried tempura prawn roll, why not try fresh salmon sashimi? Raw fish lovers, rejoice! Read on before you go off ordering 20 sticks of ‘asuparabekon’ (asparagus wrapped in bacon), and ‘piman’ (green peppers filled with cheese and wrapped in a thin meat). Yakitori has long been associated with late nights and too many beers. As a traveler looking to enjoy all aspects of the Japanese culture, you will probably find yourself at one such night. However, this doesn’t mean that you don’t have healthy options. 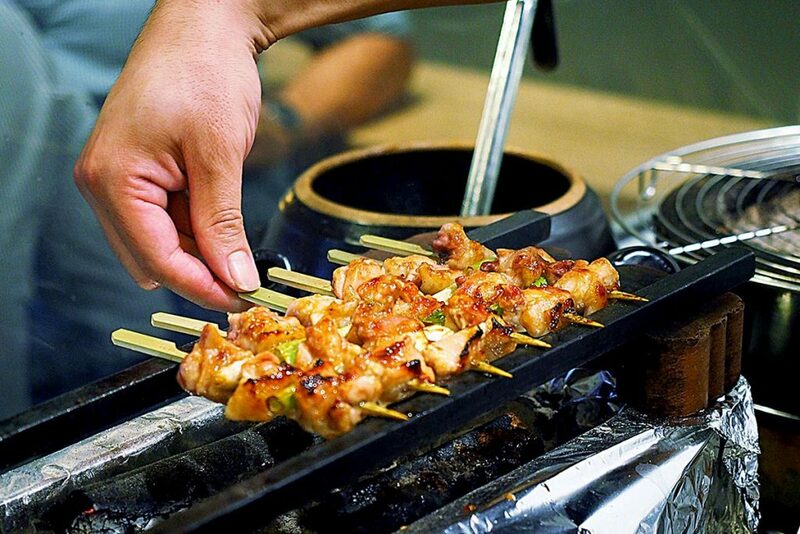 Whilst the method of cooking yakitori itself can’t be helped (skewers glazed with oil and then barbequed), you can choose exactly what you’re grilling, and this is where the fun (and reduced calories) comes in. Instead of opting for beef tongue or pork belly, you can opt for the ‘toriniku’ variant, which is basically yakitori made with white chicken meat or chicken breast. It may not be as juicy, but it will be just as tasty. At most yakitoris, you will also have vegetarian options such as ‘ginnan’ (a skewer made with ginkgo biloba seeds) or shiitake skewers. Some yakitori restaurants also offer chicken and vegetable options. Coined as ramen’s lesser known cousin (by me, myself and I), soba noodles definitely don’t have the reputation they deserve. Often prepared in ways that are just as tasty as ramen, they additionally pack a punch in terms of nutrients. Soba is normally made with buckwheat flour instead of refined grain, greatly reducing its calorie content. It is full of protein, fiber, complex carbohydrates, and greater thiamine levels than normal ramen noodles. 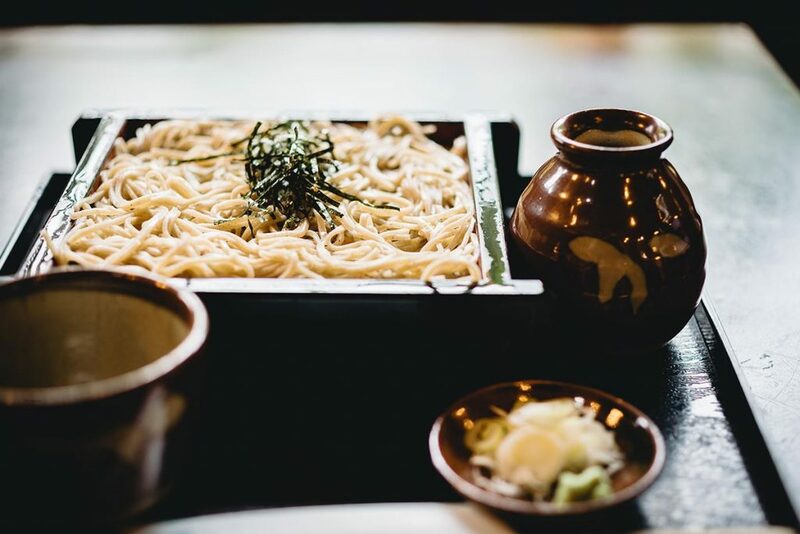 Soba noodles are available widely across Japan and can be eaten in a variety of ways, both hot and cold. Depending on the dish, it can be served in soup with a variety of toppings, or cold, with the noodles, condiments, and tsuyu (dipping sauce) all laid out on a tray. Eating soba noodles is an experience in itself! Teishoku describes a traditional Japanese set meal, which generally comprises of a main dish (usually a fish, but you can sometimes opt for tonkotsu, karaage, or tempura), a bowl of rice, miso soup, and 1-2 side dishes. The Japanese people believe that a key to good body balance is having a varied, healthy Japanese diet. These small portions provide nutrients from all of the food groups in one sitting, and are varied enough so that you don’t get bored. The side dishes are sometimes the star of the meal, as they can range from anywhere between ‘shiro-ae’ (mashed tofu salad), to ‘tsukemono’ (Japanese pickles made from vegetables such as radish, cabbage, and cucumber). You can order teishokus from many restaurants all around Japan, and even purchase them at convenient stores and supermarkets. 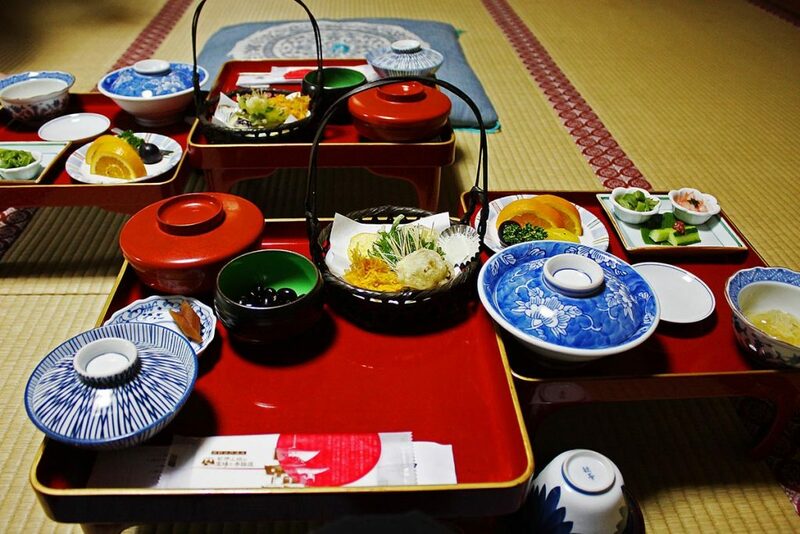 Known as Japan’s sophisticated Buddhist cuisine, it is a traditional style of dining where the meal is made without meat, fish, or animal products, therefore it can be enjoyed by vegans, vegetarians, and meat-eaters alike. 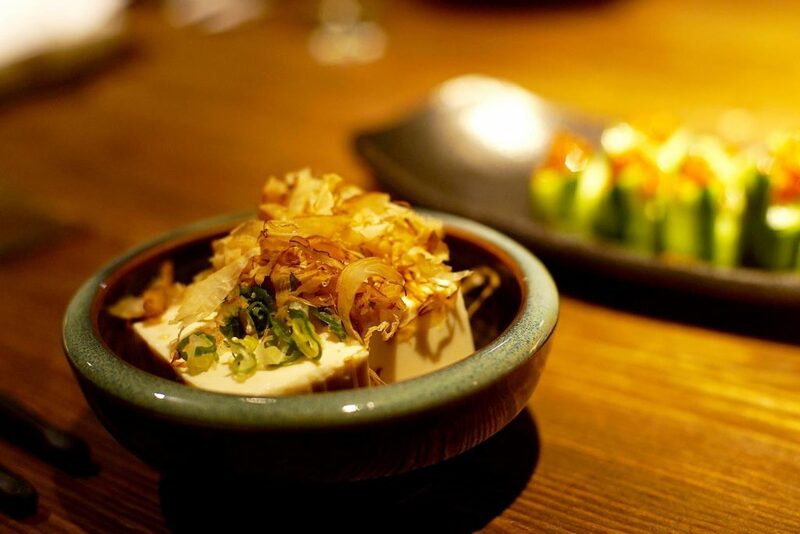 A typical shojin ryori meal focuses on soybean-based foods such as tofu, and adds seasonable vegetables, wild mountain plants, and seaweed products to the meal, which is believed to bring balance to the body. When cooking it, there are requirements to meet: every meal must display five colors (green, yellow, red, black and white), as well as offer five flavors (sweet, sour, salty, bitter, and umami). In a very un-typical Japanese way, this meal, with its lack of meat and reduced additional seasonings, is a great way to load up on vegetables whilst not compromising on flavor. 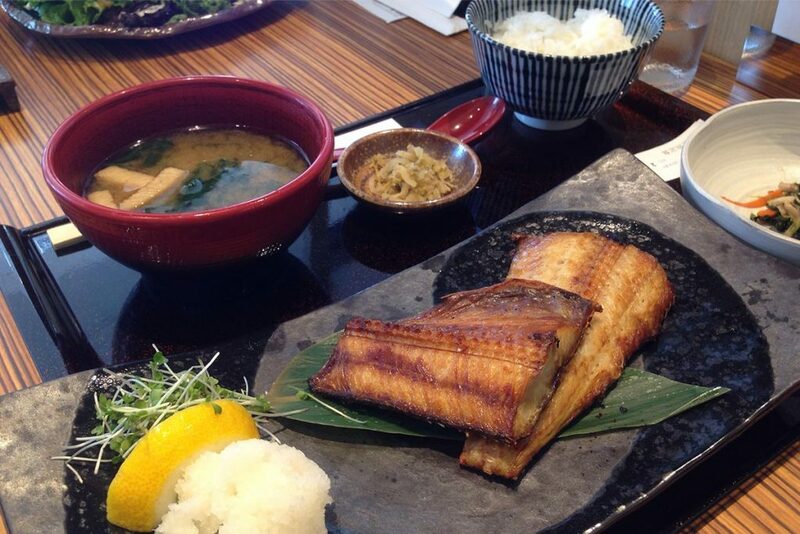 You will be able to enjoy shojin ryori dishes at most restaurants located within temples. One of the most popular places is the Buddhist Retreat Koyasan, which is a small town located in the mountains of Wakayama Prefecture. As the most unconventional option on this list, it’s a bit hard to believe at first, but don’t discount Japanese konbinis until you’ve truly explored their health section. 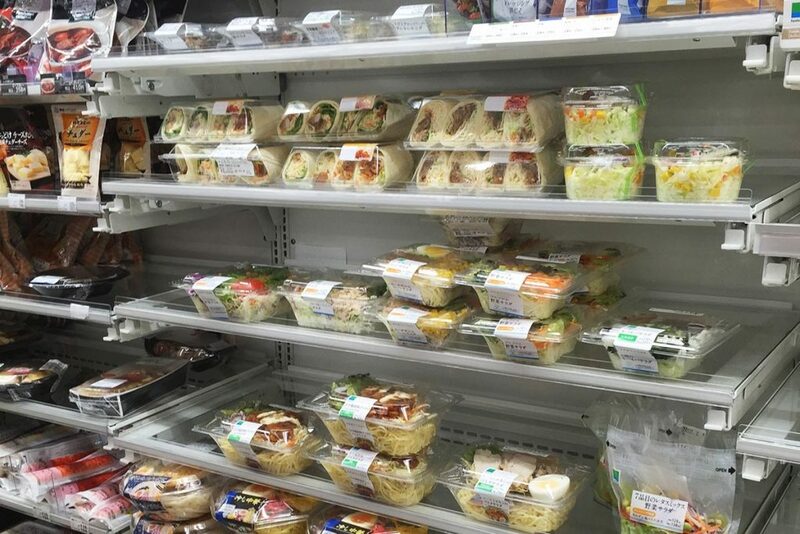 As an avid ambassador for convenience store food, their fresh section has saved me many a times in the past. In a rush and need a quick, light meal to fuel you before dinnertime? Over massive gyudons and udons but can’t be bothered taking transport 20 mins away to get to an ‘organic café’? Hit up your closest convenience store, and you’ll be pleasantly surprised. Their fresh and healthy range is massive, and the prices are so affordable. 7-Eleven appears to be the frontrunner in offerings. 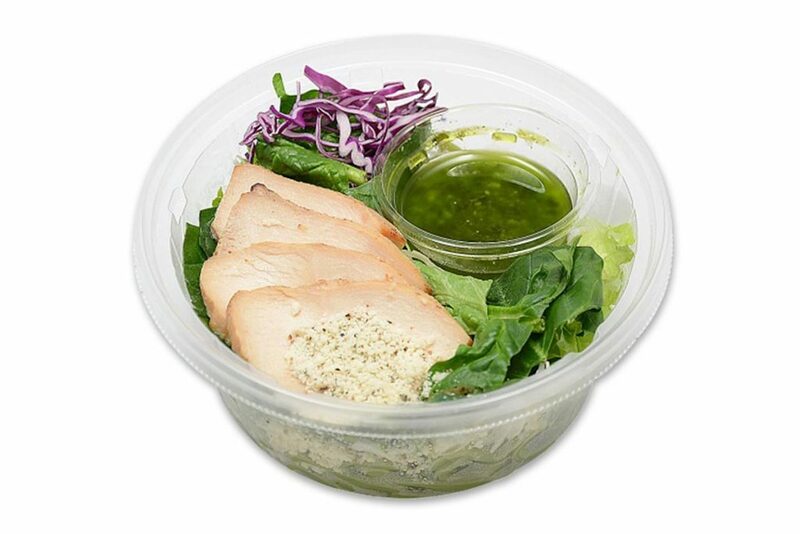 Their options include ham and egg salads, pre-chopped vegetable sticks with dipping sauce, grilled chicken pasta salads, bags of freshly chopped shredded cabbage and/or greens, and single serve cooked chicken breast (flavored or unflavoured) ready for consumption immediately. Save the calories, and that widening hole in your wallet, by dining in at 7-Eleven every now and then, you won’t be disappointed. Of course, this doesn’t mean that you should avoid ramen and okonomiyaki and tempura and katsu and tonkatsu and rice and … (the list goes on) … at all cost. By the way, if you want to know which Japanese dish you have to try when in Japan, you can check our TOP 10 list here: Traditional Japanese Food. You still need to live life; you still need to enjoy yourself. 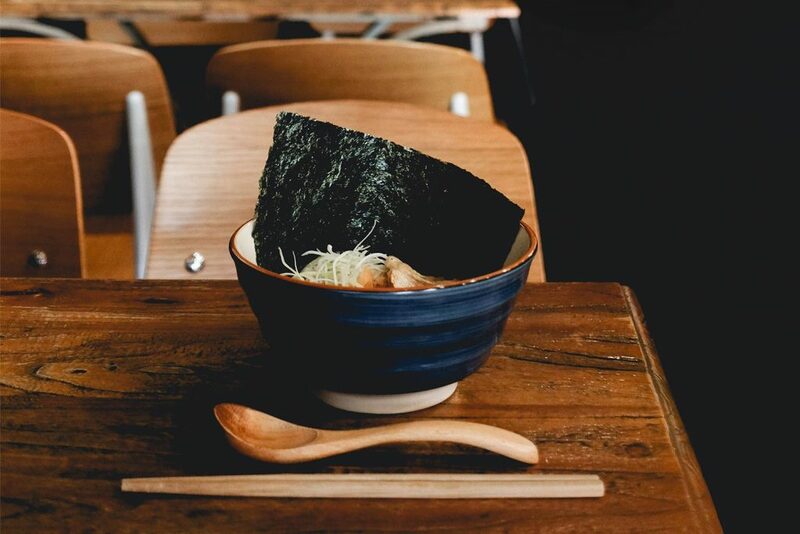 But the next time your jeans are feeling a bit tight, and you’re struggling up those stairs a bit more than usual, just know that there is are plenty of healthy Japanese foods out there that you can easily access and try! You can find us on Facebook, Instagram, and Pinterest. Stay tuned and don’t miss any post. Also, you can join our growing community on our Facebook group and share your thoughts with us!